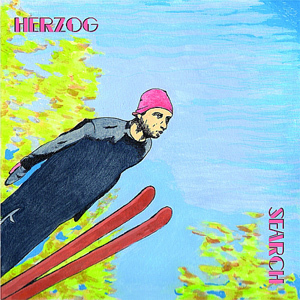 Cleveland-based rockers Herzog take the best elements of ’90s rock groups like Pavement and The Tragically Hip and produce a solid mellow rock album in their debut Search. Each song comes through with different twinges of sound, from the thrashy “Silence” to the Wilco-esque “Cautiously Optimistic,” all while sticking to a heavy groove of guitar rock. Lyrically, Search is far more inconsistent. There are moments of beauty with “Slowest Romance” being a piece of poetic beauty. But there are also moments of sheer inanity, such as the ode to Cleveland “West Boulevard” which is simply poor songwriting. However, despite the occasional lyrical misstep, Search fights through to an endearing mellow groove and is a solid debut album.